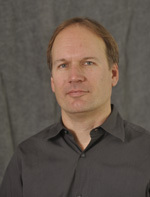 Eric Secoy is a legal editor of the Center’s consumer law manuals. Prior to joining the Center full-time he performed legal research updating various sections of the manuals, and also participated in class action litigation with the Center. Eric was a solo practitioner for over ten years prior to joining the Center staff in 2000. Eric received his A.B. from Grinnell College and his J.D. from Harvard Law School.